MYLAPS Sports Timing and ADAC Rotax Max Challenge took a new step in Wackersdorf last weekend to bring more safety and fair play to the track. All karts in the Mini Class were equipped with a GPS device, which allowed race control to watch and replay the positions of all vehicles and improve regulation decisions. This pilot in Wackersdorf was part of the new X2 Link system, which is an add-on to the existing X2 timing and data system. X2 Link offers a wireless 2-way data stream between race control and the racer. 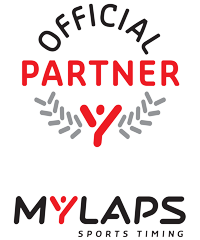 With this system MYLAPS fully empowers the goal to enhance track safety and to increase race experience for racers, pit crew and spectators. In the near future vital race data flow from the racer to race control and vice versa. The benefits of X2 Link will be available for all racing levels. X2 Link will be further improved for race events, timers, racers, pit crew and spectators. Think of possibilities for race control to manage marshalling lights alongside the track and send in-car flag signals to racers directly. Race control could zoom-in on specific racers to see live speed and vehicle performance to help scrutineering and ensure fair-play. And racers can benefit from real-time information (position, # laps, transponder based lap times, gap to front, gap to back, etc.) on their own on-board dashboard while racing. More info on X2 Link can be found here. If you have any questions, don’t hesitate to contact your account manager or fill in our contact form!